MD&A Bearings, Seals & Hydraulics division stocks a large quantity of hydrogen seals at our Euclid, OH facility, and we can service any size of machine. If we don’t have the seals in stock, our skilled technicians can fabricate them using material we have in the shop. When a customer orders a set of hydrogen seals from us by part number, we don’t just manufacture the seals to the standard original size. Instead, we always have a dialogue with the customer to learn what their journal size is and what their housing cavity thickness might be. Then we custom-size the seals to fit properly. Some of our craftsmen have been doing hydrogen seals for 20-plus years, so they are well-seasoned and trained in doing the work. A lot of units have unbolted, babbitted hydrogen seals, especially on 7FA and D11 machines. If there’s any contamination of the oil or improper assembly, those conditions may cause the unbolted seals to tilt, which could lead to a hydrogen leakage and oil ingress into the generator. The OEM recommendation is to upgrade the seals to a bolted style which involves replacing the housings. MD&A offers a more cost-effective option to modify the existing housing to accept bolted seals. We can complete the modifications in our shop in about three weeks during a scheduled outage. If a modification is needed sooner than that, MD&A also offers an option to exchange seals and housings that already are modified. 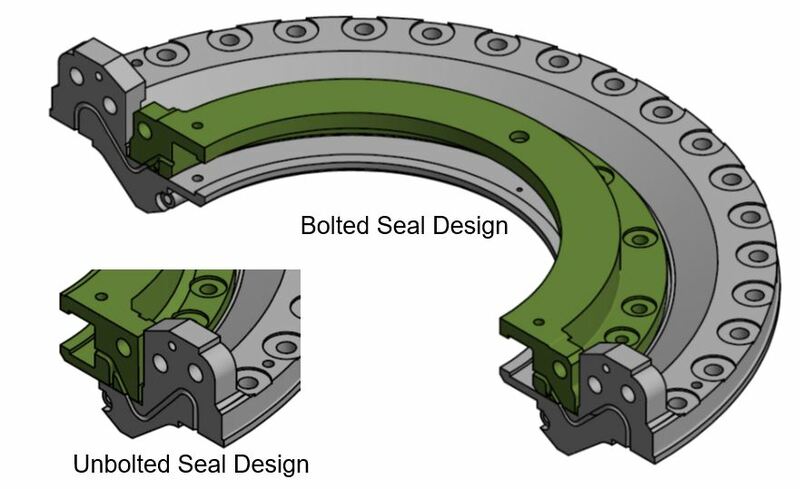 Since 1984, MD&A Bearings, Seals & Hydraulics division has designed, manufactured, retrofitted and repaired hydrogen seal rings to correct operational issues such as excessive oil flow, excessive hydrogen consumption, and electrolysis. We have also developed a level of service designed to substantially reduce the manpower traditionally associated with the field ­fitting of critical seal assemblies. Call our MD&A Bearings, Seals & Hydraulics division today at (800) 446-4776 or use our Contact form.